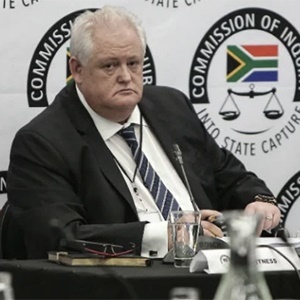 Former Bosasa executive turned whistleblower Angelo Agrizzi is expected to return to the judicial commission of inquiry into state capture to complete his testimony. Head of the commission's legal team advocate Paul Pretorius, SC, announced on Monday morning that former Bosasa auditor Peet Venter and Agrizzi would testify this week. "Mr Peet Venter and Mr Angelo Agrizzi will testify this week and then on Friday there will be further witnesses, depending on the length of time that is allocated to each of those witnesses – the witnesses due on Friday may have to come on Monday," he told inquiry chairperson Deputy Chief Justice Raymond Zondo. "Consultations are taking place as we speak," he said. In his marathon nine-day testimony in January, Agrizzi revealed extensive allegations of corruption involving several government ministers – including Nomvula Mokonyane and Gwede Mantashe – as well as ANC MPs, journalists, union officials, and how Bosasa (now African Global Operations) colluded with senior officials over more than a decade to cook tender documents and score lucrative contracts with the state. In February Agrizzi, former Bosasa chief financial officer Andries van Tonder, former Bosasa senior staffer Frans Vorster, current Bosasa employee Carlos Bonifacio and former correctional services top brass Patrick Gillingham and Linda Mti were arrested and charged. The charges, which include numerous counts of violating the Public Finance Management Act and contravening the Prevention and Combating of Corrupt Activities Act, stem from a decade-old Special Investigating Unit report handed over to the National Prosecuting Authority in 2009, which found an improper and corrupt relationship existed between Bosasa, Gillingham and Mti. In exchange for cash, cars, homes, flights and holidays – among other gifts – Gillingham and Mti colluded with Bosasa executives to ensure the company was awarded four lucrative Department of Correctional Services tenders worth roughly R2bn between 2004 and 2005. They were released on R20 000 bail and are expected to appear in court again on March 27, 2019.